Our platform will make your customers happy. Regardless of your business type or objectives, Edify is full of features to help your business communicate, both internally and with customers. Start with the core functionality and expand your use to take advantage of additional features as you need them. Our Intelligent Assistant, Hammond, uses natural language understanding (NLU) to comprehend your customers. 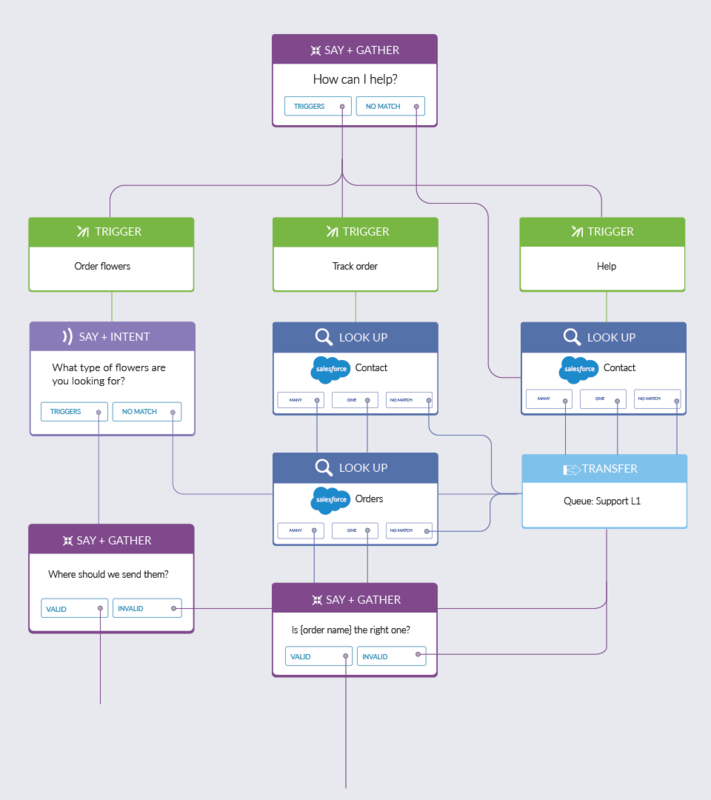 Hammond Workflows are an easy drag-and-drop visual design tool for even the most complex omni-channel routing requirements. Agents can view complete customer interaction histories before, during, and after an interaction. Agents can also identify proactive engagement opportunities, handling issues before they arise. We deliver continuity and offer users the ability to move seamlessly among multiple channels within one conversation. Customers can have more control over their interaction, connecting with agents via their preferred channel. With strong integrations to Salesforce and Zendesk, you can use any object in any platform, standard of custom. Leverage the CTI and connect easily to the Agent Desktop. Edify offers multiple communication solutions all within one tool, with just one vendor. Our platform has a single-user interface for all functions. Our Machine Learning bot, Hammond, uses sentiment analysis to automatically distribute conversations to live agents as needed or as requested. It automatically sends post-interaction surveys to customers, and easily solicits customer feedback based on metrics occurring inside the conversation over any channel. Hammond identifies issues and solves problems, summarizing all of the feedback for managers, presenting agents who have coaching opportunities. Supervisors are able to respond quickly, spotting problems with real-time operational data and accessing one report in one place. Customers have the power to dictate and enhance their unique journey map, while users can view complete customer interaction histories. Edify delivers continuity and offers users the ability to move seamlessly among multiple channels within one conversation. ©2019 Edify Inc. All rights reserved.